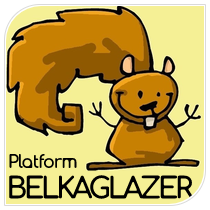 Belkaglazer platform allows you to use more than 10 diverse strategies on different markets: FOREX, CRYPTO, FORTS, INDICES. The strategy uses price movement through an identified horizontal daily level of support or resistance. The strategy opens a trade during high volatility period when the price breaks through support/resistance levels. XAUUSD (Gold) is more volatile than most currency pairs. Smaller lot size is recommended. Added: 2018.06.08 Risk of bad execution with high negative slippage. Risk of bad execution with high negative slippage. The strategy uses significant price movement in one direction on high volumes. The strategy waits for strong price movement assuming that the market will continue to move in the same direction. *(L) These set files open a trade only if a strong momentum breaks through the horizontal sup/res levels. EURUSD 3-Market[M][PA][v1.787][Impulse_Intraday]_EURUSD_M15_(D).set The strategy has a low winning percentage of 30% – 40%. You can experience over 15 consecutive losses in a row. It is a classic mean reversion strategy. It places a pending limit order in the opposite direction of the price movement at the end of the North American Session (New York). The MR strategy assumes that the price will revert back towards the mean (average price). This strategy has a low TP/SL ratio! The strategy enters the market in the trend direction when the price approaches the mid-term support/resistance levels. EURUSD 2-Market[MR][PCh][v1.778][RollBackPattern]_EURUSD_M60_(15).set *Bad live results since early 2017. There is a high risk that this strategy is over-fitted! FrontRunning uses knowledge about behaviors of a certain large group of market participants (when they will enter or exit a market). For example, most ‘momentum’ traders will buy after closing a large bullish candle. Knowing this, you can enter the market a moment before the large candle is completely formed, and you may catch the price movement that ‘momentum’ traders create when they simultaneously buy an asset. See Figure 3: Volatility during an hour EURUSD 3-Market[M][PA][v1.787][FrontRunning]_EURUSD_M1.set This strategy has a low average trade of 1-2pips and short position holding time (max. 1-2min). I recommend using it only for educational purposes. It’s required a good broker with low spreads. 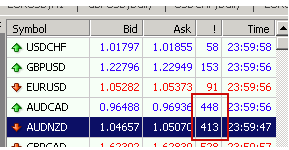 By default, the MT4 StopLoss is disabled in the ‘NY_CloseTrading‘ strategy on cross-pairs (e.g., AUDNZD) for an hour during the ‘FX rollover‘ (a low-liquidity time) because it can be activated due to the spread widening (for example, due to an increase from 3 to 40 pips), and this may lead to a big loss. The MT4 StopLoss cannot correctly protect an open position during a low-liquidity time. You also can turn off this option if you are sure that your broker does not widen spreads. Some brokers do not allow trading during the ‘FX rollover‘ by freezing prices for 2-5 minutes.